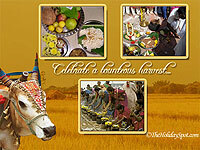 Pongal has come, once again. 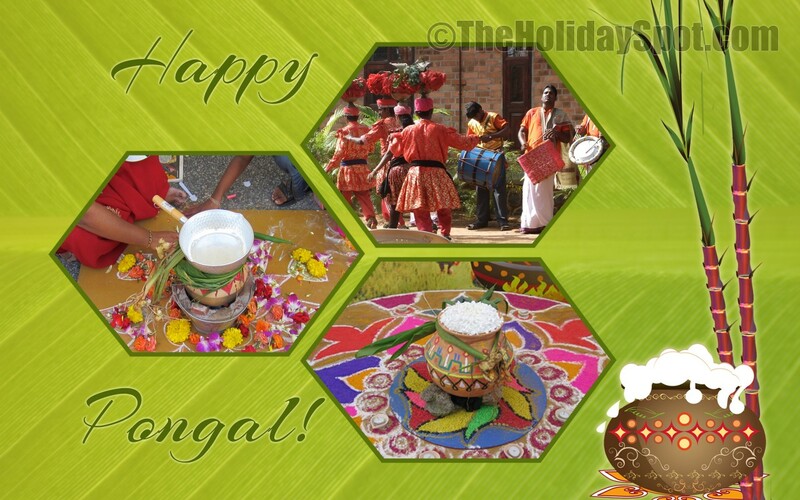 So gear up for the festivities! 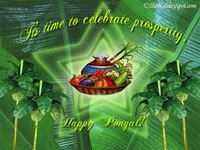 Dress up your desktop with our free Pongal wallpapers. Scroll down, and have fun! Set them as your desktop background. 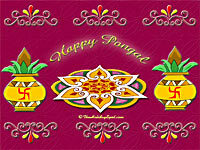 You can also send these wallpapers to your friends and acquaintances. 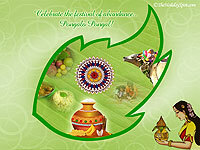 Free wallpapers for Pongal brought to you by TheHolidaySpot.com. Just click on the thumb of the wallpaper you want, and the wallpaper opens on a new window. Right click on the image after it loads fully, and then set as wallpaper. So what are you waiting for? 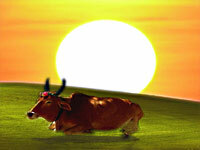 Set these wallpapers as the background of your desktop. 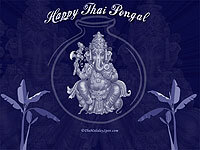 To send any of these wallpapers to your friends, click on the "Send this wallpaper" button and follow the instructions. 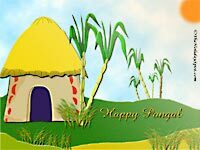 If you like our Pongal wallpapers, just click here to refer this page to all your friends, and include them all in your merriment. 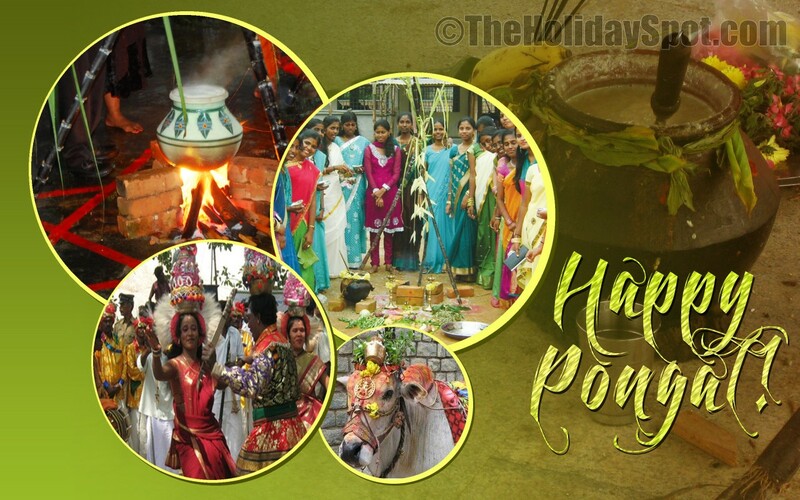 Happy Pongal!